Reflex Medical offers full-service, one-stop component design, engineering, production and packaging support for medical device manufacturers. 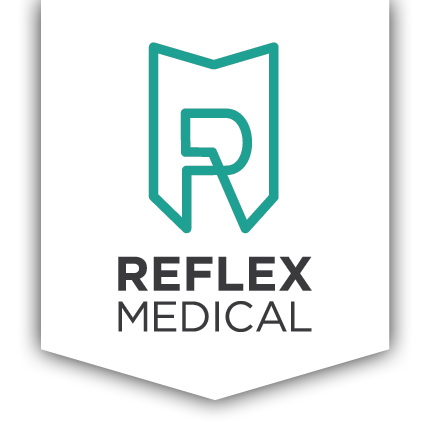 The Reflex Medical story begins under another name. Founded in 1992 in St. Paul, Minnesota, Flex Tool Inc. had earned a superior reputation as a top-quality, service-centric injection molding company. Things would forever change for Flex Tool in 2002, when a local neurologist approached the company to help him develop a device component prototype for use in a procedure that allows biopsies to be taken during MRI examinations. Flex Tool engineers worked closely with the neurologist and his team to design, refine and optimize the component, which passed clinical trials and went on to achieve significant commercial success. For Flex Tool leadership, the project made it clear that their business was ideally suited to serve as a nimble and cost-efficient manufacturing alternative for medical device startups. One state-of-the-art manufacturing facility and company spinoff later, Reflex Medical was born in 2002. Word traveled quickly across the Twin Cities med-tech sector and beyond, earning Reflex Medical the reputation as a premier resource not only for startups, but also for the largest and most renowned global medical device developers. Gain an experienced team of experts committed to designing it better, manufacturing it better and creating exceptional experiences for you.